Sadly I have found as I have gotten older that aches and pains are much more frequent than when I was younger. When I exert myself I can definitely feel it the next day. When I experience pain I sometime will take pain killers such as Ibuprofen but have been trying to minimize that as this stores in your liver over time. I still take Ibuprophen, but if possible, I try to opt for more natural or homeopathic remedies. For joint and muscle pain I find that massage helps. What really helps the most though is icing, heating, or both, based on the injury. That is now always convenient however. Zim's offers a unique solution to both - their Heat or Freeze Gels. You can find out more HERE. We tried the Max-Freeze Gel. My shoulder / back was sore so my husband helped me apply it. The Max-Freeze went on very easily and absorbed quickly. At first I did not feel anything after applying but after 1- 2 minutes I could feel it tingling. It definitely did seem to help with the pain also! My husband also used this after running and found that it was very effective. There was a slight mentha scent but nothing overwhelming. If you are looking for a natural product for pain control, consider Zim's! 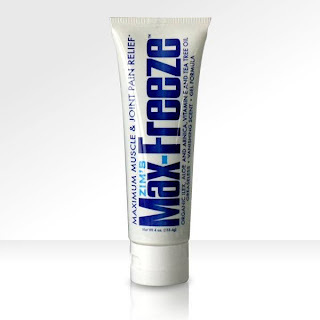 Note: If ordering online from their site, orders containing Zim's Max-Freeze must be shipped UPS Ground. 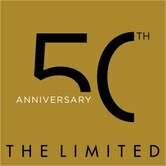 The Limited is turning 50! I remember when I was little I used to walk by The Limited with my mom or go in when she used to shop there. Eventually I shopped there too. I have seen the brand evolve over the years but it has always been a place of quality, stylish clothes. When thinking back the past, I cannot always remember names but I always remember what I was wearing (or what I ordered to eat). I recalled some memorable purchases I made at The Limited through the years..... a tweed blazer in the early 80's, a metallic sweater and matching scarf in the later 80's, a paisley shirt in the 90's and a monogrammed handbag a few years back. The styles have changed and the store may look different, but the brand has always remained the same - a place for women to find exactly what they were looking for. In celebration of its Golden Anniversary, the brand is launching a multi-faceted campaign focused on helping women succeed. This iconic fashion powerhouse will kick-off its celebrations with a special initiative to support Dress for Success, a nonprofit that offers professional apparel, support and career development tools to women who are entering or re-entering the work force. To raise funds for this amazing organization, The Limited is inviting women to share their success stories/life lessons (both personal and professional) online atwww.thelimited.com/50th. The company will donate $1 to Dress for Success for every submission, up to $50,000. Additionally, The Limited is donating to Dress for Success 30% of the proceeds from a limited edition clutch and a commemorative bracelet that will debut this fall. As part of the 50th Anniversary festivities, The Limited will also launch a social media campaign this August that will allow consumers to select the ‘ultimate celebration’ dress design they would like to see in stores as well as where the culminating birthday celebration will take place. Thanks to the Limited I have one $50 gift card to share with a lucky reader!!! 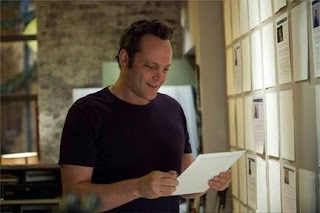 To enter simply comment on what you have done recently to make a difference. It can be anything. Then simply fill out the rafflecopter form. Once you are finished here head over to The Limited's facebook page to enter there also! They are giving out one gift card a day on their facebook page. Thanks to The Limited for sponsoring this giveaway! Thanks to Equity Lock I have a fantastic giveaway. This will only run through Friday so please enter ASAP. If you win the Equity Lock giveaway, each of your appliances will be protected (up to but not to exceed $1500 for a 12-month period). This will include repair or, if necessary, replacement. This summer, get your peace of mind LOCKED! Do you know how best to take care of your appliances? How to keep your fridge fresh, your dishwasher dazzling, and your microwave magnificent? Take the quiz to find out! and then come back here to post your results. Once you do that, fill out the rafflecopter form and you will be entered to win. a Rafflecopter giveaway Disclosure. I received information from EquityLock Protecter. I will receive a 6 month subscription to EquityLock and EquityLock Protector will also directly provide one random winner with a 6 month subscription and gift card. .
Social Media Giving Day is the same day as Twitter’s birthday: July 15! What is Social Media Giving Day? PartnersHub is partnering with Givver.com to make social media matter! #Give with Givver to help us set a world record for the most donations given in one day through social media! Givver.com enables you to donate quickly and easily to your favorite causes with a single tweet! Whether it’s a non-profit, educational, or political organization you want to support, Givver is here to help you fund and raise awareness for the issues that matter, all by simply using Twitter. Givver is a great way to show your friends, family, and followers on Twitter that you care in a tech-savvy way! Let's all tweet to #give to at least one organization that needs our help by using Givver and make social giving go viral this Social Media Giving Day on July 15! For more information and to sign up to be ready on July 15, visit: https://givver.com/organizations. Prize: An Official Social Media Giving Day Prize Pack. The Social Media Giving Day Prize Pack inclues a Givver #Give Limited Edition T-shirt and a Givver #Give Limited Edition Sticker. This giveaway will be a little different. Like usual, you can take the quiz and post your results. The difference will be on July 15th, if you donate with Givver you can come back and gain extra entries. I normally do not do this but it is for such a great cause I want to reward those that opt to do this. To begin, simply take the quiz below, comment with your results and then fill out the rafflecopter form. Good Luck to All! Do you think you know what a family is? Do you define a family in conventional terms? Disclosure: This information was provided to me from Disney PR. I did not receive any form of compensation for sharing this information with my readers.